Realistic ballistics and cannon performance of the period. Every cannonball is tracked in the air and after it hits the target. One shot can hit the stern, damage the rudder, then hit the cannon carriage, injure crew, ricochet from the floor and hit the opposite side. Listing and wind affects the shooting distance and will require change of tactics. Weapons: All major types of naval artillery are implemented: from long guns to carronades, and mortars (of course limited by the ship role and its hull). Fort and land batteries will provide support during port battles. 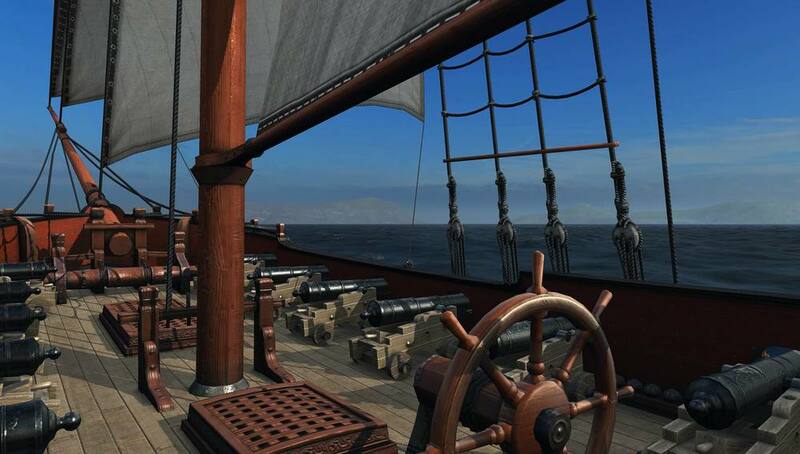 Fire ships and branders will also be present in the game. Advanced wind and physics model provides for realistic portrayal of ship’s performance in the age of sail. Yard angles, ship angle to wind, cargo, fittings and ship condition affects speeds and turning rates. Correct tacking, boxhauling, clubhauling and other elements of the age of sail sailing are possible. Hidden ship characteristics will allow to gradually uncover potential of the vessel – every ship in game will be unique. Damage model: Leaks, splinters, loose cannons, demasting, raking, fires and all other hazards possible in that era. Damaged ship fittings and modules will change behavior of the ship. Breathtaking open world based on 18th century historical maps gives you an opportunity to explore the 18th Century Caribbean. More than 365 historical ports based on their real locations are scattered across the map. Map is enormous - you cannot see another shore of lake Maracaibo. Map does not provide player position. Captains are expected to navigate using landmarks and compass. We were able to bring back the feeling of getting lost at sea into the computer game. Weather will make travel easier or harder reducing the visibility of the shores or allowing sneak attack on enemy fleets or ports. Water depth is important and there are large areas available only to light ships. 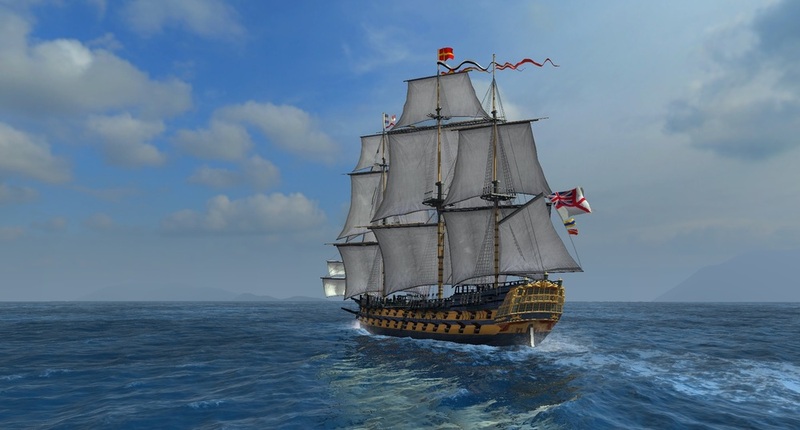 If you are not interested in sailing heavy frigates or ships of the line you can move out to Bahamas’ sand banks and only sail your favorite brig without fear encountering a heavy super frigate. Pinkerton map of the West Indies was used for our open world. Attack any enemy flag you see, help other players, harass enemy shipping, or join the fleets to participate in large-scale open world or port battles. Solo game play is hard but is also possible. Finding a good hunting spot and a fast ship is key for the solo player. 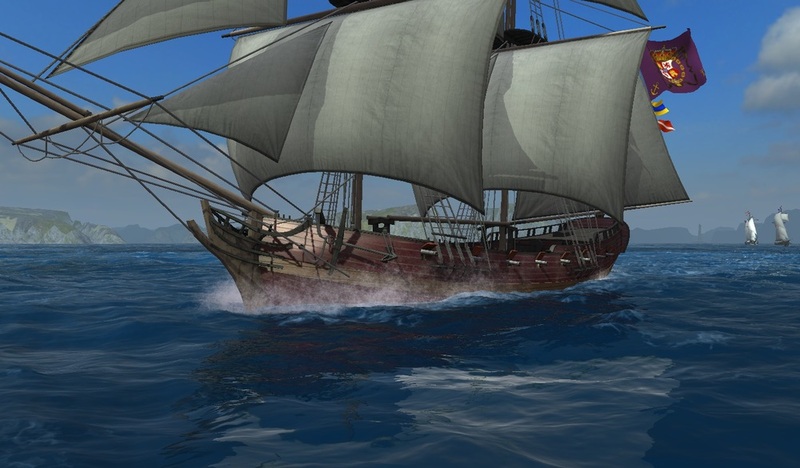 There are more than 1500 NPC vessels cruising the map and up to 2500 simultaneous players bringing the Caribbean age of sail to life. Or you can be a Pirate. Pirates can attack each other and that changes their mechanics compared to other nations. Pirate mechanics are in development and might improve or change in the future. At this stage of the game all nations are at war with each other. Every port except for free towns and capitals can be captured, limiting access to resources to other nations. 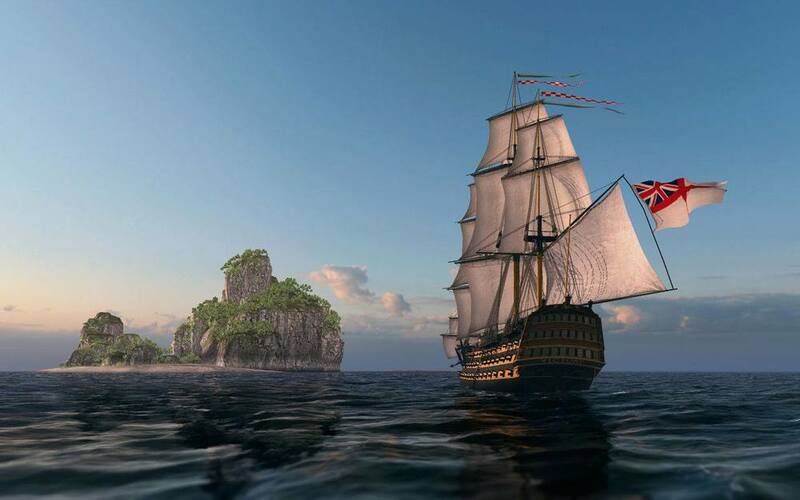 Build your own empire by creating a guild and conquering Caribbean for your nation. Naval Action will feature accurate hull models, sail plans, guns, internal modules and parts, historical speed, turning and heel performance. 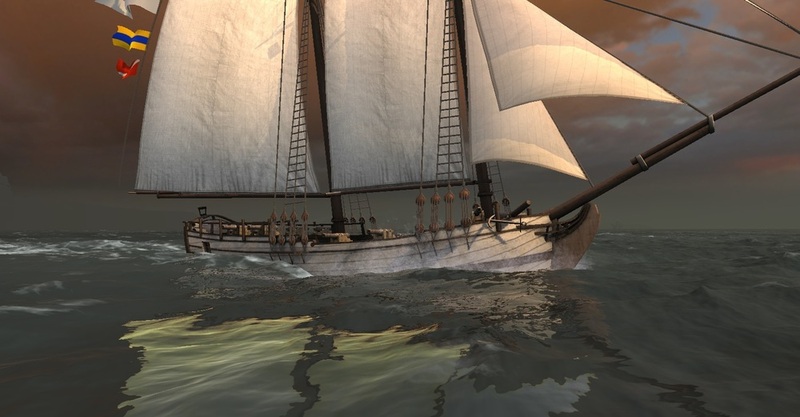 Ships from trading ships and smugglers to small gunboats to large 100+ gun first rates will allow the player to experience every possible role of the Age of Sail period. 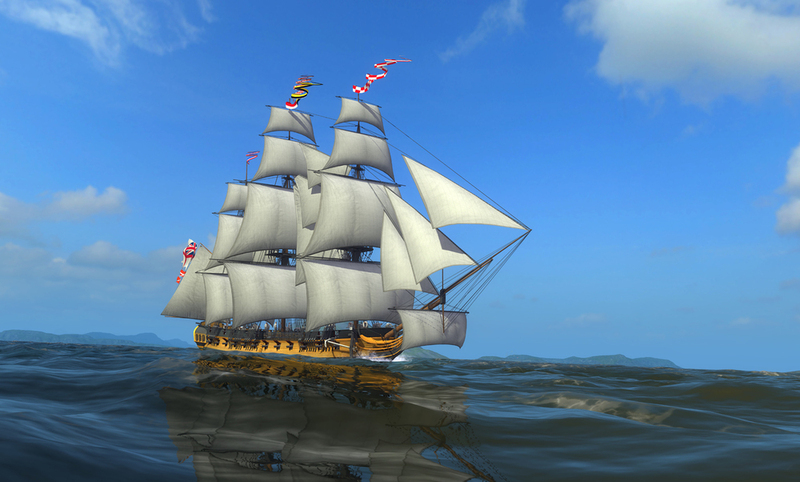 5 more models are in development including 140 gun Santisima Trinidad.